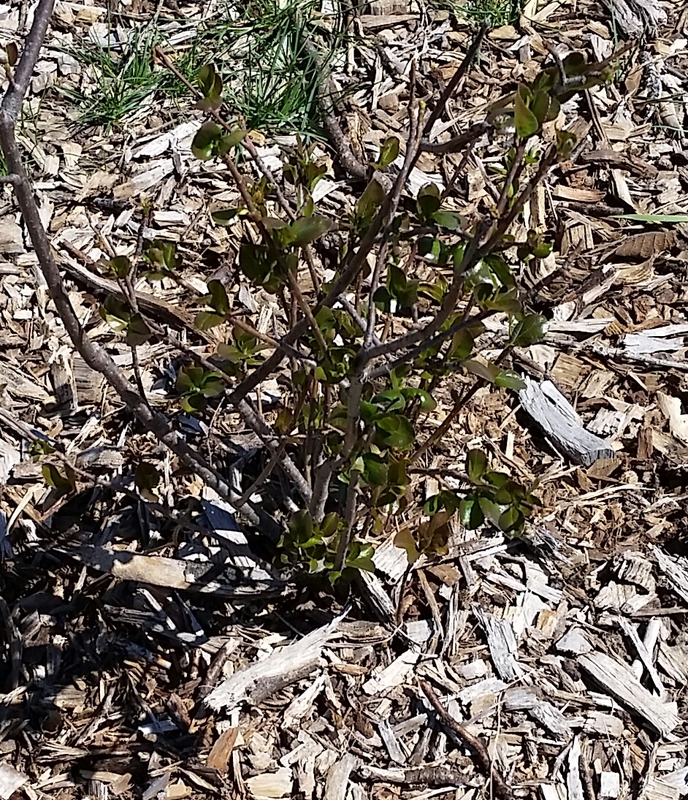 There are three perennials that we plan to propagate this year: Autumn Olive, Aronia and Thornless Blackberry. We are going to try propagating from cuttings. The blackberry will probably take off the fastest as it seems to spread quickly. We may not even have to take a cutting if new shoots come up. For the Autumn Olive and Aronia, we’ll be using a method I found at the Volunteer Gardener‘s YouTube channel. I just discovered this channel while doing research for this post and I love it. The tutorials are simple and straightforward and most are under 10 minutes…which is about what my attention span is these days. The steps are pretty easy and (fingers crossed) foolproof. Step 1: Using sharp shears, cut a small branch with full-size leaves. The branch should bend easily but not break. Keep the cuttings wet and fresh. Step 2: Trim off every leaf at an angle except for the one on top. This is going to be hard. You are going to feel like you’ve just killed the branch and it will never, ever, EVER grow. That’s exactly how I felt when watching the video. But…it is important for the greater good to perform this operation. Too many leaves would be a drain on the plant. They would weigh down the already fragile cutting, sapping it of energy. The new plant needs all of the energy it can get to grow new roots. Out of the wounds left behind, new roots will form and the plant will be stronger. Step 3: Dip cutting and all nodes (the spot where you cut the leaves off) in rooting hormone. I’m using a talc based Rootone. We had great success with it last year when we were planting trees in the back swales. Step 4: Bury in soil that has been dampened. I plan to use seed starting mix. The important thing is to use loose, well-drained soil. Step 5: Mist with a spray bottle and keep damp and warm. While the Volunteer Gardiner suggests placing these in the shade with little sunlight, I’m going to put them in partial sun. When I start seeds, I don’t put them under solar lamps until they’ve sprouted. It’s more important that the seeds stay moist and warm for germination. Once they sprout, I kick on solar lamps to help start photosynthesising those new seedlings. Since these cuttings already have a leaf, that process can get rocking right away. Other sites I’ve visited also suggest partial sun placement. And then the waiting game begins. Roots should start forming after 3 or 4 weeks and then new growth a few weeks after that. Most of the sites I looked at suggested waiting until Fall or Spring to transfer the new plants into the ground. 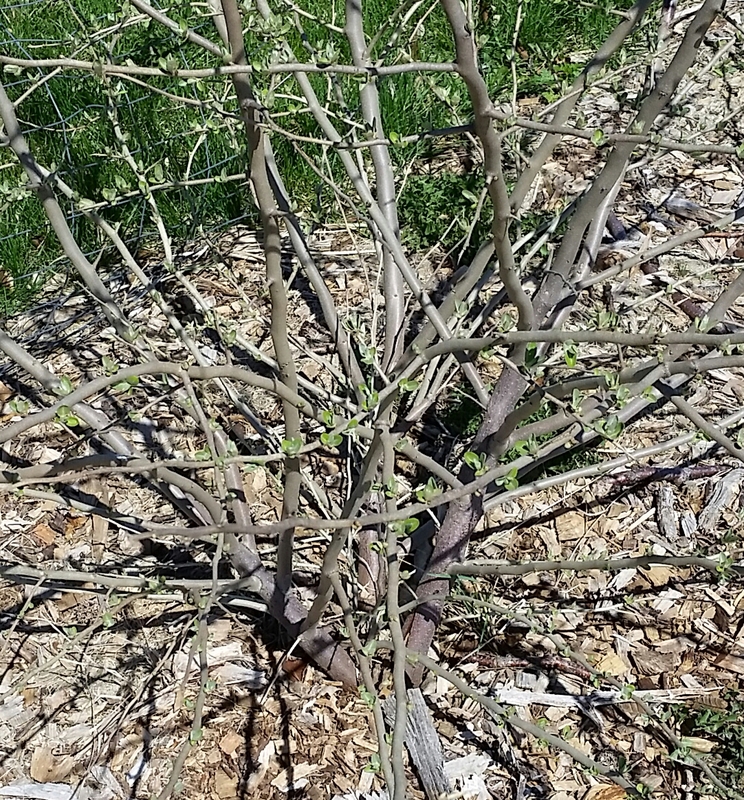 Last year, when we had a bunch of willow cuttings to start, we dipped them in rooting hormone, stuck them in the ground and watered them. They lived…thrived actually. Only 1 or 2 didn’t make it. For the Aronia and Autumn Olive cuttings, I’m going to do a test. I’m going to plant two using the method we used with the willow trees and I’m going to follow the above process for the rest. This entry was posted in 13 Skills, Garden Stories, Permaculture, Writing. Bookmark the permalink. Ok, will save this info. Thanks! It was fun to research this…not as complex as I thought it would be.